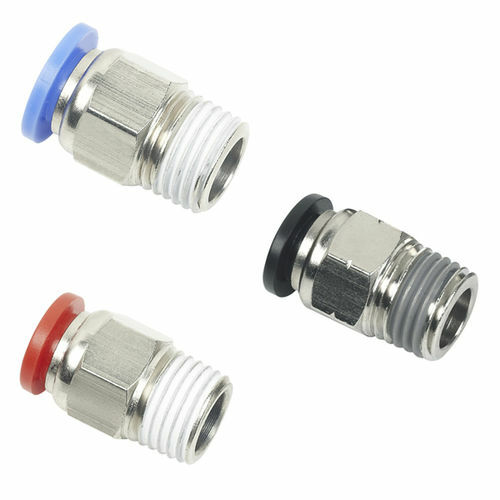 The PNEUFLEX PC series pneumatic, push in fittings (PT, R, BSPT, NPT) feature a PC male connector, and are adjustable externally through use of a flat or socket wrench, or internally with an Allen wrench. 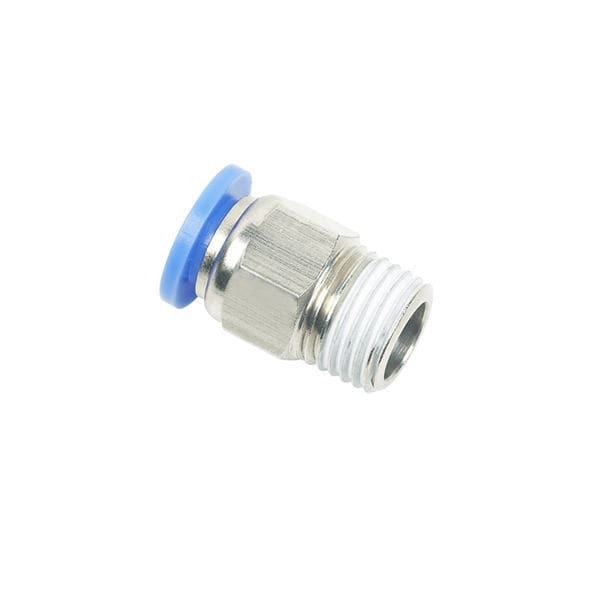 They have BSPT1/8, BSPT1/4, BSPT3/8, BSPT1/2 thread connections (55° taper pipe thread), with tubing diameters of 4, 6, 8, 19, 12, 14 and 16 mm (1/8", 5/32", 3/16", 1/4", 5/16", 3/8", 1/2"). They are used for vacuum or air media, on pressures up to 10 bar, and temperatures up to 60 °C. They are made out of nickel plated brass, with seals featuring a precoated tapered male thread, and are compatible with PU/PA or PE tubing.